CBS All Access just dropped an extended trailer for The Twilight Zone. In a move almost guaranteed to increase the number of people lined up to be in Room North 200A of the Anaheim Convention Center by 4:00 pm Saturday, March 30th. I could not be more excited that reimagining this show for contemporary times (and viewers) rests in the hands of executive producers Jordan Peele and Simon Kinberg. 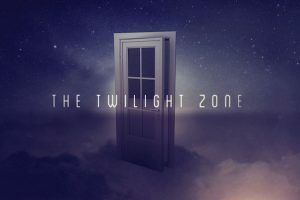 When The Twilight Zone debuted in 1959, it became a worldwide phenomenon through its used socially conscious storytelling to explore the human condition and culture of the times. The godfather of sci-fi television, the show explored humanity's hopes, despairs, prides, and prejudices in metaphoric ways conventional dramas could not. 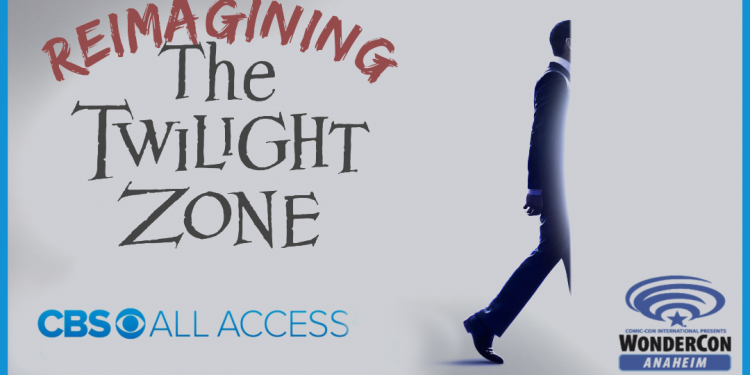 Hear from series producers and creative minds behind the series for an exclusive sneak peek and discussion on reintroducing The Twilight Zone to a modern audience. As you may know by now, The Twilight Zone premieres April 1st, 2019 on CBS All Access. If Star Trek: Discovery didn't pull behind that paywall, from the looks of this extended trailer, Jordan Peele's gonna get you. Ike Barinholtz, John Cho, Chris Diamantopoulos, Lucinda Dryzek, Taissa Farmiga, Glenn Fleshler, James Frain, Ginnifer Goodwin, Zabryna Guevara, Steve Harris, Percy Hynes-White, Damson Idris, Greg Kinnear, Luke Kirby, John Larroquette, Sanaa Lathan, Tracy Morgan, Kumail Nanjiani, Adam Scott, Rhea Seehorn, China Shavers, Allison Tolman, Erica Tremblay, Jacob Tremblay, Jefferson White, Jonathan Whitesell, Jessica Williams, DeWanda Wise, and Steven Yeun. There's no telling who may show up on this panel. But I certainly aim to try and see all the things.